The last month has been a whirlwind of birthdays! Sadie turned nine, Maggie turned seven, and Tessie celebrated her first birthday, all within two weeks and we were lucky enough to be able to celebrate both with my parents when they came out to visit and with Paul's family when we made a trek back to the east coast for a fun visit. Putting together little picture collages to see how they kids have grown each year has always been one of my favorite things, so before I sprint off for a special James-Mommy Day (more on that later) I wanted to share how big everyone is getting! The first birthday was our girl who was born on the longest day of the year. She had her special day planned down to the hour (and had a birthday party a few days later at the Y we go to). She told me a few days earlier that she "can't believe she's almost a teen ager" and we've laughed about that quite a bit since then. Not quite. Our little firecracker was the third birthday of our birthday weeks. Every year she gets fireworks and this year was no different. I cannot believe how big she's getting. 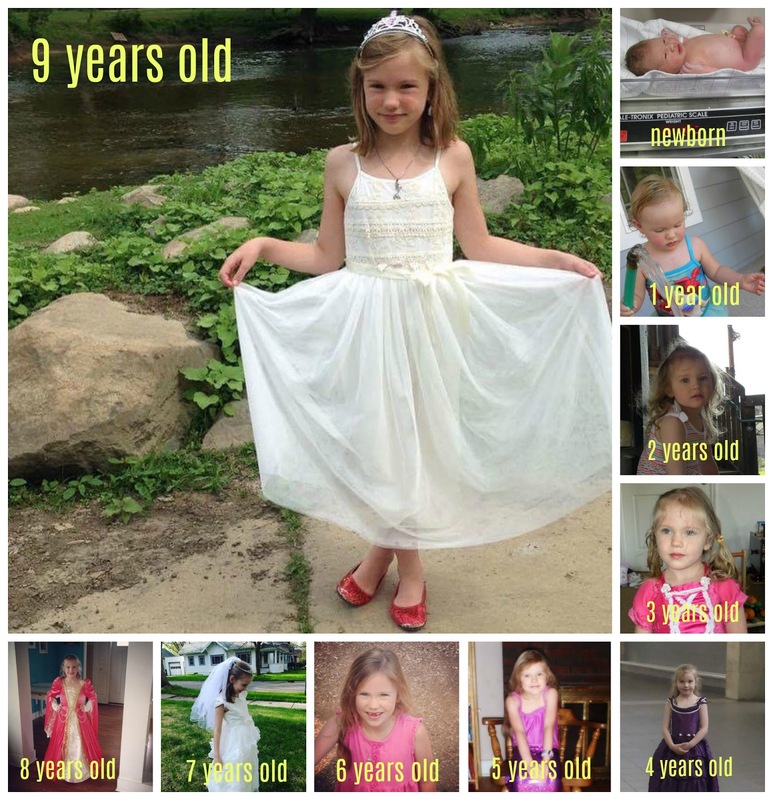 I kind of feel like she was just three yesterday. So how is she seven now? She's getting ready to start her very first year of school at a public school around the corner from her big sister's school. She's also taking riding lessons and I'm so excited to see what this year is going to hold for her! The birthday sandwiched between the two big girls was our Super Tessie. She has grown so much and is doing so well. 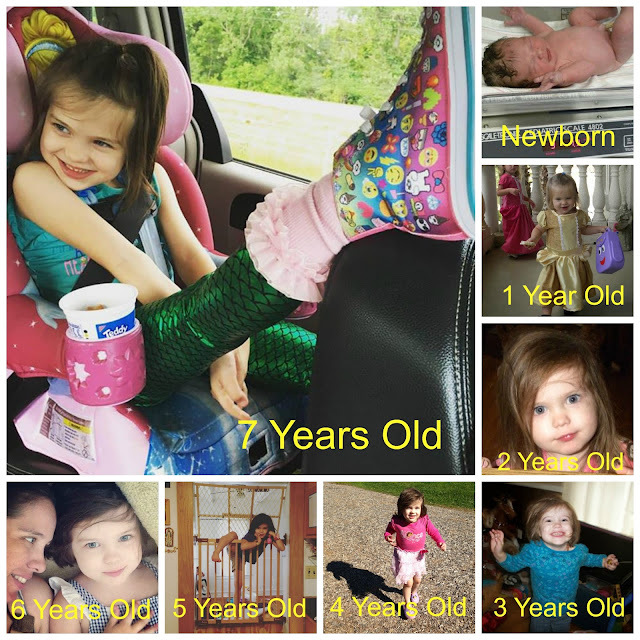 Her first year was a roller coaster and I'm just praying that her second year is less eventful! 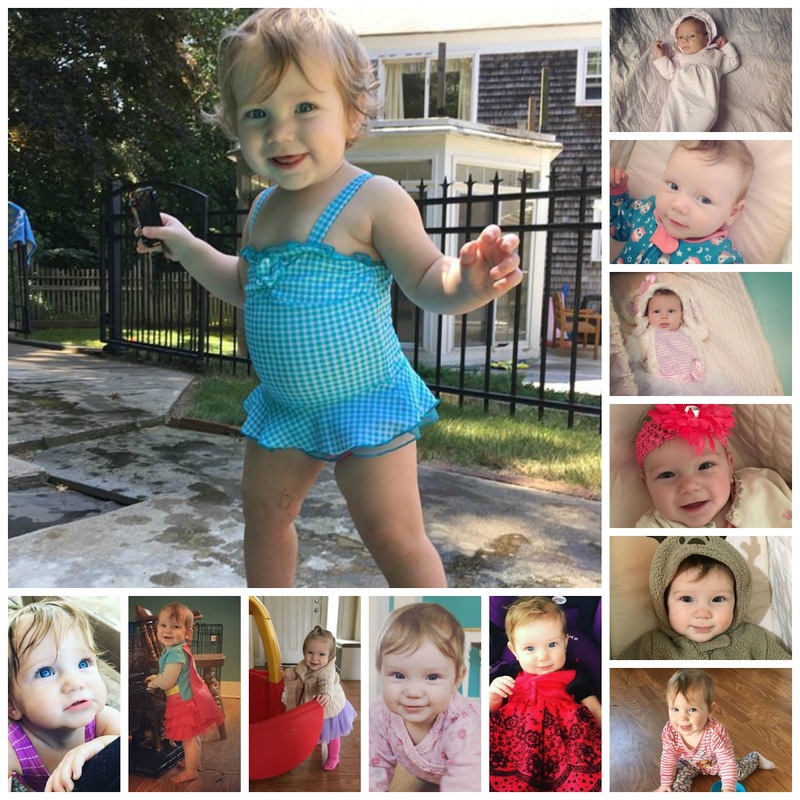 Here's a month by month glimpse of her first twelve months!